We know that planning the funeral of a loved one can be a very difficult task. As you begin your planning, we want to first assure you of our prayers as your prepare and plan for the Mass of Christian Burial for your departed loved one. It is our hope that your participation in the planning and celebration of the Mass Christian Burial provides consolation and support to you at this difficult time. Please do not hesitate to contact either of the priests or Judy Biros, worship and music minister, at (330)688-6411. Please contact one of the Parish priests when someone requests the Sacrament of Anointing of the Sick or is seriously ill. Please inform the Parish Rectory when a parishioner is hospitalized or unable to come to Mass. Our caregivers are able to visit the homebound and bring Communion to them. Please contact Joan Skalak at (330) 688-6412 x272 or skalak@holyfamilystow.org to make these arrangements. Baptisms for children, birth through age three, are celebrated on the first Sunday of the month (group baptism at 1:30 pm) and second Saturday/Sunday of the month (baptism at Mass). No baptisms take place during Lent. A parent preparation class is required for parents who have not taken this class at Holy Family. To enroll in the class or to schedule a baptism, call Pete or Kathy Mihelick at (330) 688-8806. Arrangements for children over three years old are made with Diane Hurtuk at (330) 688-6412 ext. 273; hurtuk@holyfamilystow.org. PLEASE NOTE: Children ages 7 or older who are not baptized, or who were baptized in another faith tradition, will participate in a separate program – RCIA for Children. Contact Diane Hurtuk, Director of Religious Education at hurtuk@holyfamilystow.org or (330) 688-6412, x273 for more details on RCIA. Do not register for the program described below. First Reconciliation/First Communion preparation takes place in first and second grades. Children who attend public school must register for PSR where they receive classroom instruction. Children who attend Holy Family School receive classroom instruction in their religion classes. In addition to classroom instruction, children in second grade attend two Saturday retreats. Parents of second graders attend two retreats and assist their child with home study books. Registration is required for all second grade students, both PSR and HFS. If your child is in second grade, please complete the online registration or print & complete the registration form, the Emergency Health Form, and the Parental Consent Form found by clicking the "Additional Information" link below. A copy of your child's baptismal form is also required if s/he was not baptized at Holy Family. **If you have a child 3rd grade or older who has not received the sacraments of Baptism, First Reconciliation and/or First Eucharist; please contact Diane Hurtuk, Director of Religious Education at hurtuk@holyfamilystow.org or (330) 688-6412, x273 for instruction information. Confirmation is a celebration of the conscious awareness of the Holy Spirit in your life and choosing to make a commitment to work with that Spirit as a Roman Catholic. Confirmation is one of the Sacraments of Initiation, along with Baptism and Eucharist, all of which complete your membership in the Church. 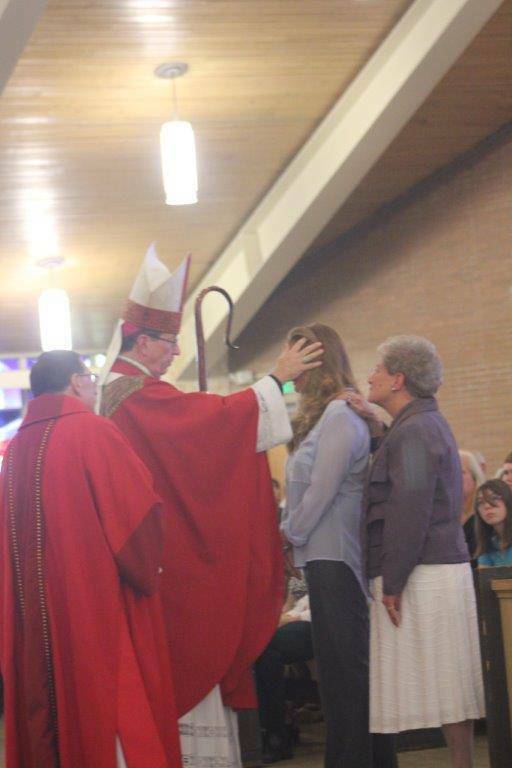 Please contact Abby Gresser at gresser@holyfamilystow.org for youth Confirmation or Fr. Kevin Klonowski at klonowski@holyfamilystow.org for adult Confirmation. Please contact one of the Parish priests or deacon at (330) 688-6411 at least 8 months before the date of your proposed wedding to schedule your ceremony and arrange for the required pre-marriage preparation. Download the Marriage Guidelines Booklet (pdf). RCIA for Children is the process through which children who have reached the use of reason and are of catechetical age (7 years old and older) become Catholic. After a period of learning and spirtual growth, children become members of the Church at the Easter Vigil, receiving the sacraments of Baptism, Confirmation and First Communion. In addition, children ages 7 and older who have been baptized in another faith tradition (i.e. Lutheran, etc..) are also included in the RCIA for children process, making a Profession of Faith and receiving the sacraments of Confirmation and First Communion. See website for more information.